← ‘Amelia’ the phantom novel! It’s an odd feeling revisiting a novel you wrote many years ago. But that’s what a writer has to do when preparing a book for digital conversion. It can be a painful process, because all the book’s faults leap out at you – though at least you have a chance to put some of them right. What it also does is allow you to spend time again with the characters who were once a part of your life. When you’re writing any novel you live with its characters for the months or years that it takes to write – and even for some time before, as the ideas for the book develop and take shape, like the growth of a child in the womb, leading up to the moment when you really have to start writing or you’ll burst. And then one day the book ends (especially if you have a contractual deadline! ), you send it on its way to the publisher and that’s that. It’s like both a birth and a bereavement. Unless you write a sequel, that is – something I’ve done a couple of times. But there are also the sequels that never were, though I’ve longed to write them. 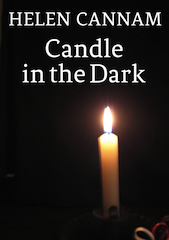 I’ve just revisited ‘Candle in the Dark’ before launching it in the Kindle store. It was always one of my favourites, and in a sense I never really left it behind. I know what happened to Isabella and Marianne, Aurore and Aristide long after the book ended, on into a new century. When I sent ‘Candle in the Dark’ to my publisher I fully intended to write a sequel. I made copious notes, began the necessary research, and have, now and then, even written bits of it. There’s a file with the working title ‘Wanderers’ somewhere in my laptop that simply awaits my further attention.